A few days ago emerged a tweet from an HTC exec that talked about the update passing AT&T's testing. 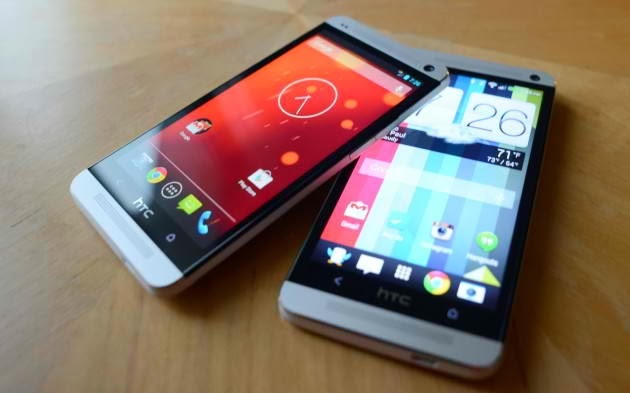 And just this Wednesday, January 29th, Android KitKat starts rolling out onto European models of the HTC One units. Reports are now blasting that the latest Android firmware will soon be available in the U.S. carriers including AT&T, Sprint, T-Mobile and Verizon. Latest update sources however said that the KitKat update for U.S. will be delayed one to two weeks into the month February. This means the company has failed to meet its self-imposed 90 days deadline. HTC President Jason Mackenzie has admitted that the company will miss the deadline because of the lengthy certification process. Although Mackenzie also assured that the delay will not last long but have not mentioned any specific dates when the KitKat hits specific carriers. The first to get KitKat update according to initial reports, are the European models of HTC devices. Supporting the said clamors, are pertinent reports from users of HTC One in Finland, Norway, Latvia, Romania, Spain, Czech Republic and Russia, saying the Android 4.4 update already hits their phones. The HTC Android 4.4 KitKat update was initially introduced Halloween of last year, and it was also when HTC made an assurance that it would start rolling out update for the HTC One in late January this year. Since then, HTC keeps on providing regular updates to the public, highlighting imperative details on its progress with the Android 4.4 software. What’s with the Android 4.4 KitKat update? Some sources have said the Adobe Flash in the stock HTC Web browser has been take off for it is not compatible with the Android system. Meanwhile, An OTA zip file has been rapidly created by developers for users to manually flash the HTC One Android 4.4 KitKat update.